Using what I learned from Carl Munck's videos,The Code and that all ancient sites speak to us mathematically, I decided to apply it to Atlantis. If you draw the city of Atlantis, it is composed of 6 rings plus the outer seawall ring makes 7 rings. According to Carl Munck, these rings should decode for us the co-ordinates of Atlantis. A circle is comprised of 360 degrees, plus the ancients understand pi, therefore we use 7 x pi in our formula. Two times the radius of a circle gives us the diameter, thus the use of the number 2. Carl mentioned that after we divide 360 by the amount of circles times pi, we have to give it back, thus multiply by 360. I took it a step further and multiplied by the 7 rings, then by 2 for the latitude. 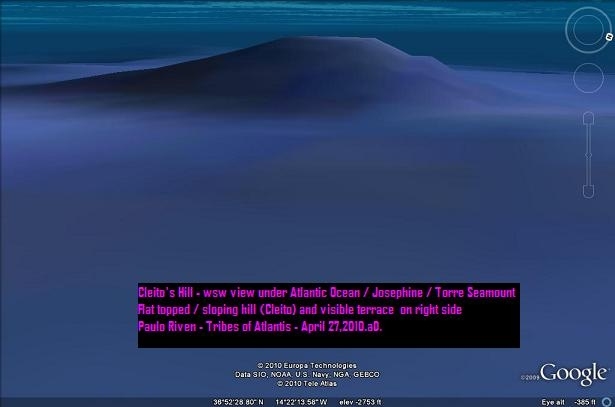 And Presto, the magic co-ordinates speak to us from the ancient Atlanteans that points right to my Josephine Seamount location! 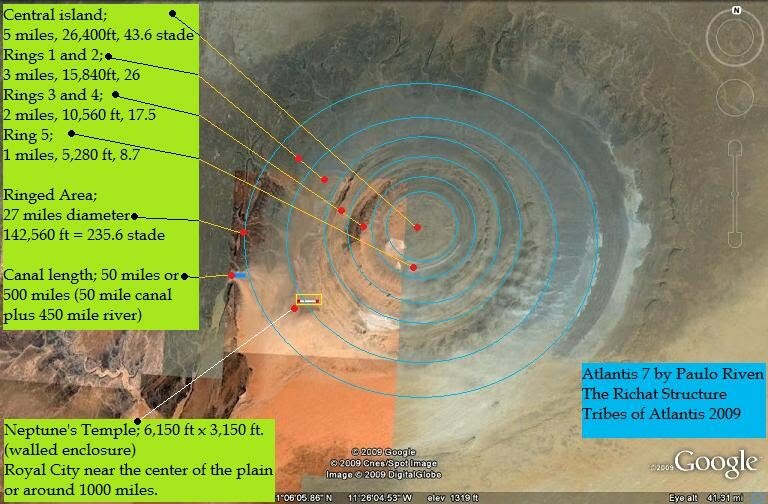 The Great Pyramid of Giza encodes the latitude of Josephine Seamount Atlantis! 360 x 51.51 = 18,543.60 / 38 = 487.989 = pyramid height w capstone. 5 points on the pyramid = 5 x pi. The City of Atlantis and the concentric circular walled fortress as told in Critias by Plato. [quote]Looking towards the sea, but in the centre of the whole island, there was a plain which is said to have been the fairest of all plains and very fertile. Near the plain again, and also in the centre of the island at a distance of about fifty stadia, there was a mountain not very high on any side. 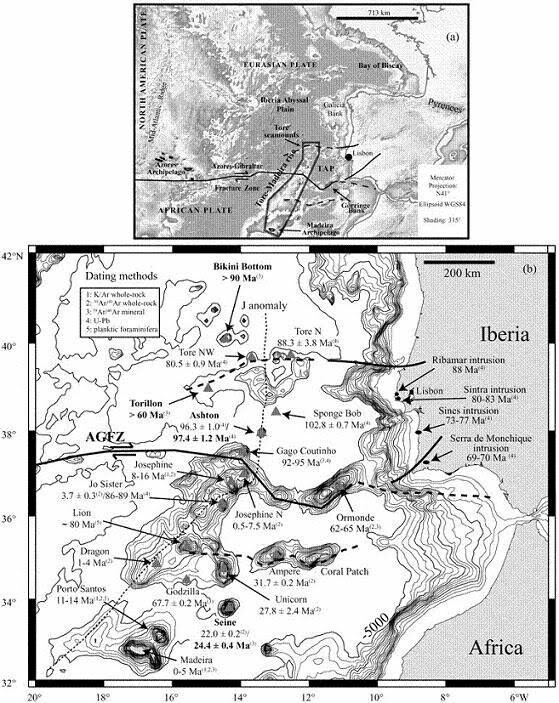 The Large island of Atlantis before The Straites of Gibraltar. This image would detail a size of around 2000x1000 miles in area. Note also that the straite extending into the Atlantic forms an immense natural Canal in antiquity. The British isles would have still been a part of Europe and not islands and a landbridge is formed connecting iceland with Greenland and Europe. The largest landmass visible on the island is the Azores plateau which is why I call it Azores Atlantis I. 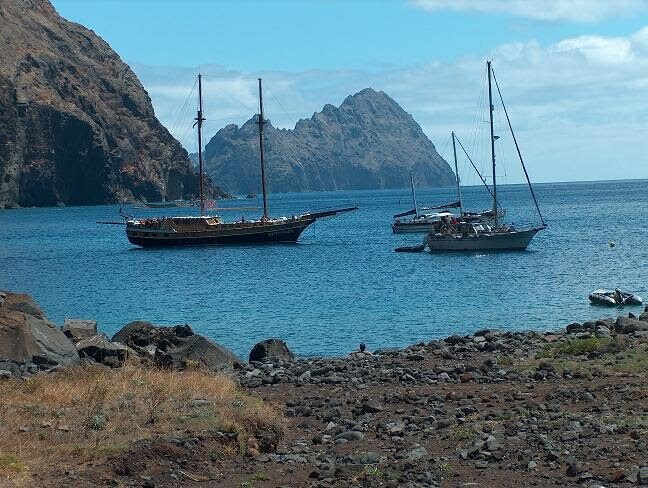 The Royal City is situated at the Josephine, Torre Seamount otherwise known as the Madeira rise. 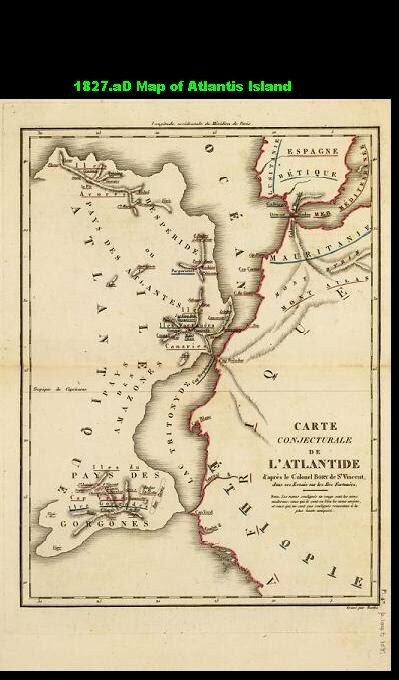 It is around 1000 miles long and around 300 miles before the Straites of Gibraltar. 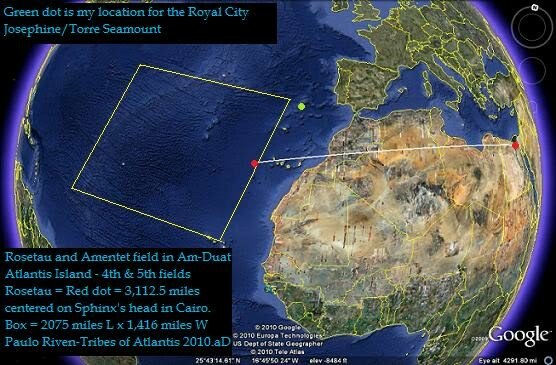 My Atlantis Royal City location 475 miles before the Straites of Gibraltar. 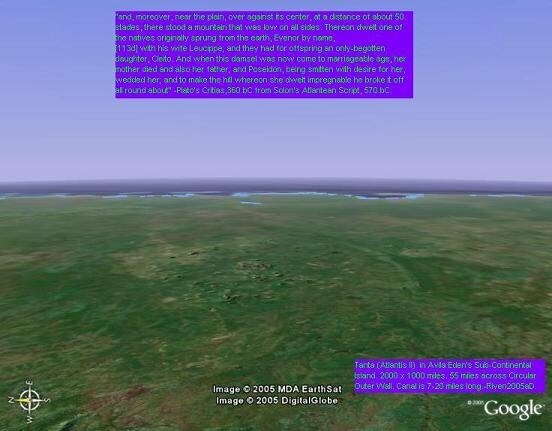 Cleito's Hill, Visible Wall and Circular Arc can be seen in this Google Earth image. Athanasius Kircher map of Atlantis ca.1650.aD. In truth,the best way to achieve success for our search for Atlantis is to accept Plato for his atonement of antiquity and to take literally his words as written, rather than to alter his works for our suppositions of self intellect and fanciful locations for Atlantis other than what Plato immortalized. For if we denounce the veritable testimony of sworn truth by all those great Greek philosophers, an Egyptian king and Priests in the Legend of Atlantis, who maintained with fervor their histories as being true, then we would have to denounce all of their works and settle for an ill realization. Being that all the philosophers and great scholars of yesterday were nothing more than fabricated ideologies of secret societies to mold the minds of our youth with hidden ethnics for their own personal gain of control over us and that no such philosophers like Socrates, Plato, Zeno, Herodotus, etc ever existed but were mere contraptions of imagination by clever writers of secret societies. Such as our histories and truths were also hidden and suppressed due to the diseased theosophical mind of falling libraries built out of biblical mortar and a wall with 3000.bC written upon it that no man should pass into the Garden of Adam and Eve and the great lie of a selfish nation favored by a vain and destructive lord named yahoweh. Ja Mn is God and ALL nations are favored by Him to reflect His Aeternal Spirit of Love and Compassion as He was also preserved by Egypt as Min or Amen, thus we say Amen after our prayers without realizing it's "hidden" meaning of truth. Whereas if we say that Atlantis doesn't exist and those authors all swore to truth, then we would have to say that they didn't exist either for a lie has no spirit to continue eternaly, let alone 2500 years for our Atlantis legend or 2000 years like their fabricated lord yahoweh and altered Bible of which they survive because of Spirit. In many respects, the Josephine Torre Seamount mirrors quite sufficiently to Plato's preservation of Atlantis in the Timaeus and Critias dialogues. Not only for it's geographical location being precisely before the Straite of Gibraltar or for it's topographical features to Atlantis and it's SeaWall, but also for it's geological properties that include a formidable explanation for the reason of the island of Atlantis having been sunken by an earthquake in a single day and night as written by Plato. A devastation on such a scale that flooded the entire mediterranean and was identified as the greatest deluge of all to Solon and the Egyptian Priest that was the third before the flood of Deukalion or prior to 1529.bC. A devastation that embedded the words upon the lips of ancient tribes relating the world flood legends to echo for millenias of cultural generations. A devastation that flooded the Black and Red Seas and even poured into the plains of mesopotamia to send Utnaphishtim afloat on an ark to a new frontier of human preservation for the Sumerians and Babylonians. The Josephine Torre Seamount, also known as the Madeira rise, stretches some 1000 miles nne by ssw and some 300 miles in width as it sits 5000m below on the Great Abyssal Plain that continuously receives the undertow of the Gibraltar Straites as mother nature's broom smoothing and cleaning her ocean floor. Generaly, the Josephine Seamount is thought to be around 90 myo with her volcanic activities ending some 6 to 9 mya upon a major hotspot of the murkey bottom. The Seamount is mainly comprised of basaltic (lava) and limestone rock with sounding tests revealing a harder material under her marine coat of silt,plankton,coral and geothermal productivity. Basalt is found in 90 per cent of rocks on Earth. 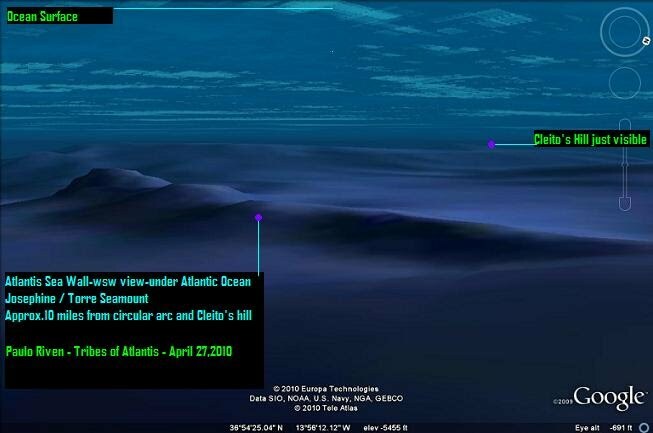 The Josephine peaks can be reached some 140m below the Ocean surface that would have been above water in antiquity while her Ormonde and Amperes family seamounts are some 40 - 60m below the ocean surface. As you can see in the pictures below, a vibrant ecosystem capable of sustaining life would clearly have thrived long ago, just like the Azores was much larger and the celtic shelf around England and Ireland teemed with ancestors of the Tuatha De Danaan and Leif Erikson or the Keltoi of Iberia as early Atlanteans. 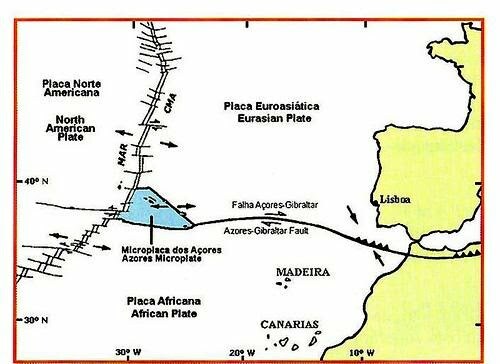 The reason for the destruction of Atlantis and the great earthquake reported is clearly because of the Eurasian and African plates that form the Azores Gibraltar Fault Line that runs right through the Josephine, Ormonde banks. Nnw of Josephine and Nne of Azores we see a monolithic transform fracture that would easily engulf the Azores Islands had it been there and evidence of a "great rip" in the Ocean floor from the Eurasian plate conquering the African plate like the Greek Hercules battling the Libyan giant Antaeus.The Azores Gibraltar fault line is a highly volatile section that includes frequent earthquakes and one of the largest Volcanic regions of the Atlantic along with the area of Cape Verde Islands. Combine the fault line of the enormous plates, the huge transform fracture, the mid atlantic ridge spreading on the west side and the intense thermal conductivity that would also produce methane gases that drop airplanes out of skies and we can see how accurate Plato's words reflect the destruction of Atlantis and a veritable reason for it's location before the Straites of Gibraltar. Then again, who's to say that a large chunk of Atlantis island didn't gracefully fall to the Ocean floor and became what we termed a seamount? - plausible to have blocked the straites with mud and shoals as part of a sub-continental island. The pictures below will help you visualize both the seamounts above water and their destructive regions and plate tectonic movements. If you save my new Josephine Atlantis google picture to your hard drive and zoom into a larger picture you can make out more concentric rings behind the hill on the west side and another piece of arc in front and below the viewable arc before the hill on the east side appearing just as they would from having been submerged. A field in the Am-Duat is mentioned as being 220 measures long by 300 measures wide. The Sun would travel at 1037.5 mph.!! Roughly Azores Islands to Cape Verde. A field would be 1037.5 miles long by 1,416 miles wide beginning at the Sphinxes head. 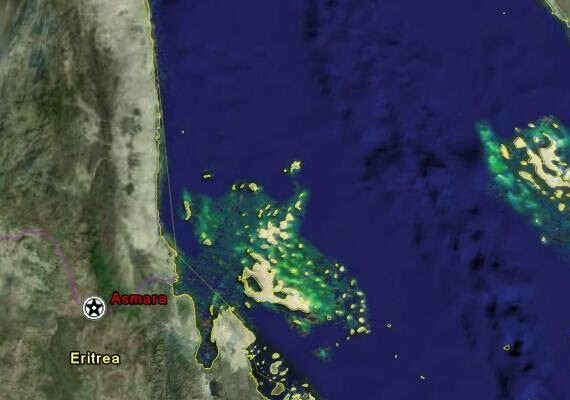 The 5th field is known as Amentet,where the 4th and 5th fields would make up the area and location of Atlantis Island being 300 measures wide by 440 measures long or 1,416 miles wide by 2075 long that is outlined by the yellow square. Note the proximity of Rastau's entrance to my Josephine/Torre location for the Royal City before the Straites. The box to be adjusted northerly for Sun's travel. Satellite map over the Atlantic Ocean of The Straites of Gibraltar, NW Africa, Spain and Britain. Praia de Vitoria (Beach of Victoria), Teiceira Island, Azores Isles. My birthplace. Some people seem uncertain to the size of Atlantis or how big and where Cleito's Hill was or where the Horsetrack is. Some researchers like to claim that all measurements should be 1/10th which would mean a stadia was only 60.5ft and a stadium some 60ft by 30ft which would also make Poseidon's temple smaller than the ones standing today. Besides, since a stadium in ancient Greece was 600 x 300 feet, I can't imagine any athletes playing soccer or football in a stadium that was only 60ft by 30ft unless they were only 6 man teams! They also like to convert the 605 foot stadia to an Egyptian Khet of 52.4 meters or 172 feet which would account for the lots having sides of 1720 feet or just over 1/4 mile (dragstrip). This would not compliment Critias having stated that the lots were of a "Great Size" as he did in the Platonis Opera Greek version of Plato's Critias. I'll stick to the dialogue for these results. Here are some notes from the Critias dialogue followed by measurements according to the script. Hope this helps your studies fellow Atlanteans. "was an island greater in extent than Libya and Asia"
"Looking towards the sea, but in the centre of the whole island, there was a plain"
"Near the plain again, and also in the centre of the island at a distance of about fifty stadia, there was a mountain not very high on any side"
"breaking the ground, inclosed the hill in which she dwelt all around, making alternate zones of sea and land larger and smaller, encircling one another; their were two of land and three of water"
"dividing the island of Atlantis into ten portions"
"To his (Atlas) twin brother (Gadeiros) who was born after him and obtained as his lot the extremity of the island towards the Pillars of Hercules, facing the country which is now called the region of Gades." "rulers of divers islands in the open sea"
"beginning from the sea they bored a canal of three hundred feet in width and one hundred feet in depth and fifty stadia in length, which they carried through to the outer most zone"
"the largest of the zones into which a passage was cut from the sea was three stadia in breadth and the zone of land which came next of equal breadth; but the next two zones, the one of water and the other of land, were two stadia and the one which surrounded the central island was a stadium only in width. The island in which the palace was situated had a diameter of five stadia. All this including the zones and the bridge, which was a sixth part of a stadium in width, they surrounded by a stone wall on every side, placing towers and gates on the brdiges where the sea passed in"
"The palaces in the interior of the citadel were constructed on this wise; in the centre was a holy temple dedicated to Cleito and Poseidon"
"Here was Poseidon's own temple which was a stadium in length and half a stadium in width and of a proportionate height"
"Leaving the palace and passing out across the three you came to a wall which began at the sea and went all around; this was everywhere distant fifty stadia from the largest zone or harbour and enclosed the whole, the ends meeting at the mouth of the channel which led to the sea"
"country immediately about and surrounding the city was a level plain, itself surrounded by mountains which descended towards the sea; it was smooth and even and of an oblong shape extending in one direction three thousand stadia . but across the center inland it was two thousand stadia. This part of the island looked towards the south and was sheltered from the north. The surrounding mountains were celebrated for their number and size and beauty, far beyond any which still exist, having in them also many wealthy villages of country folk and rivers and lakes and meadows supplying food enough for every animal, wild or tame and much wood of various sorts, abundant for each and every kind of work." "It (surrounding ditch) was excavated to the depth of a hundred feet and it's breadth was a stadium everywhere; it was carried round the whole of the plain and was ten thousand stadia in length. It received the streams which came down from the mountains and winding round the plain and meeting at the city, was there let off into the sea. Further inland, likewise, straight canals of a hundred feet in width were cut from it through the plain and again let off into the ditch leading into the sea; these canals were at intervals of a hundred stadia and by them they brought down the wood from the mountains to the city and conveyed the fruits of the earth in ships, cutting transverse passages from one canal into another and to the city. "size of a lot was a square of ten stadia each way and the total number of all the lots was sixty thousand. As to the population, each of the lots in the plain and of the inhabitants of the mountains and of the rest of the country there was also a vast multitude, which was distributed among the lots and had leaders assigned to them according to their districts and villages. The leader was required to furnish for the war the sixth portion of a war chariot, so as to make up a total of then thousand chariots, also two horses and riders for them and a pair of chariot horses so as to make up a total of ten thousand chariots; also two horses and riders for them and a pair of chariot horses without a seat, accompanied by a horseman who could fight on foot carrying a small shield and having a charioteer who stood behind the man at arms to guide the two horses; also he was bound to furnish two heavy armed soldiers, two slingers, three stone shooters and three javelin men, who were light armed and four sailors to make up the complement of twelve hundred ships. Such was the military order of the royal city; the order of the other nine governments varied and it would be wearisome to recount their several differences." zone = ring of land or water. central island with Poseidon's Temple,Cleito's Hill and The Grove of Leucippe. diameter = line drawn through the center of a circle from one border to the opposite border. radius = center of circle to outside border. 30250ft + 16325 + 30250 = 76,825ft diameter across outer fortress wall = 14.55 miles diameter for the Royal City. (60,500 ft or 11.46 miles) with transverse passages to each canal. 229.17 / 1.15 = 199.2783 lots width of plain. (less roughly 3 canals to compensate for 100 foot widths to fit the length of the plain = roughly 27 canals which would be joined by 26 transverse canals. A furlong is about the same as a stadia. 9 x 60 = 540 stadia = 326,700 feet/5280 = 61.9 miles circumference for the island of Prosopitis. 326,700/3.14 = 104,044.6ft = 19.71 mile diameter for the island of Prosopitis. 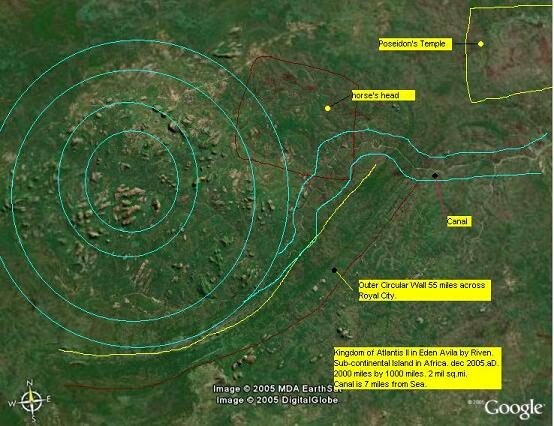 As you can see, it isn't difficult to believe that Atlantis Royal City was 45 miles in circumference when comparedto Prosopitis,61.9 miles,an island in the Delta Nile above Memphis. It surprises me why Solon,Critias or Plato didn't use Schoenes like Herodotus when they were describing the size of the city and plain which would be 50 x 33.33 schoenes (3000 x 2000 stadia). In reality the Island of Atlantis consisted of 4 islands. 1.-The small central island surrounded by rings where the Temple of Poseidon was. 2.-The first ring of land surrounding the central island. 4.-the entire island of Atlantis that contained the above 3 islands in the Royal City. 1 meter = 39.37 inches international mile of 5,280 feet, 1,760 yards, or exactly 1,609.344 meters. -note; ben jowett did not mention the bowmen or archers according to the Platonis Opera in Greek.-Riv. It sounds like this is Atlas's army and the district of the plain was Atlas' division which contained the Royal City and 60,000 lots, which was the largest and best portion inherited from Atlas' mother. From the statement of a leader being required to furnish 10,000 chariots which was a 6th portion, we can deduce that their were 6 Generals and 60,000 units in total for Atlas' army. 4 sailors to compliment 1200 ships - 40,000 / 1200 = 33 men per ship. 1200 x 6 = 7200 ships for the Royal Army x 33 = 237,600 sailors. Consider that half those men were Father's or Family men = 2,805,000 families x 5 = 14,025,000 people for the populace of Atlantis Island. Consider the plain was the largest and best district of 344 x 230 miles, we could say the other 9 districts were half the size also or 172 x 115 miles. The plain was near the center of the island, thus on the east side we can say the length was 344 + 172 + 172 = 688 miles. There would be another 4 regions alongside the west side of the plain and the 2 regions on the east side. And finaly 3 regions on the west side. Giving us 3 regions wide by 4 regions long through the middle. According to the 14,025,000 populace, this would equal a reasonable 28 people per square mile. If we say that 1/3 of the warriors were Fathers, then we would have 1,870,000 families x 5 = 9.350,000 census or 19 people per sq. mile. Some districts or populations could have been near to the size of the plain. Imagine how many people per square mile are in your city today! Upon further study of the John Burnett's Greek Platonis Opera ca.1903, we realize that Ben Jowett forgot to mention the Bowmen or Archers, and that R.G.Bury incorrectly stated that the second pair of horses did not have a chariot, but a man who jumped from horse to horse while followed by a charioteer which makes no sense. The Greek text uses the word "dipros" and "katabaten", where we realize that this is in fact a step down board chariot that two men stood on. [b][Critias 119a-119b]...each lot provided a male leader, but the lots were of a great size being 10 times 10 stadia, of which all together there existed 60,000 lots. But also the mountains and the other districts held an infinite number of men who gathered down in the country towns of which were chosen leaders to distribute their entire lots. That in any event, the leaders were to arrange, on the one hand, and provide for the battle a sixth portion of a warriors chariot that was 10,000 chariots, but also with two horses and one mounted man. Furthermore, to themselves also, a pair of horses with a step down board chariot of which two individuals go upon, one with a small shield and a charioteer to hold the horses. Two Heavily armed (warriors) and that of an Archer and Slinger, two of each, and a light armed foot soldier who was also a slinger that struck with stones and a javelin man, three of each, but of sea mates, four who would be part of an account for 1200 ships. In any event, on the one hand, in this manner were the warriors appointed for the Royal Kings city state besides that of the other nine which is of a length that is besides our chance to speak. Based on the use of the katabaten, the second chariot is in fact a step down board chariot. Totals; 19 men according to Platonis Opera. What is missing is horses with horsemen warriors that could also amount to 20 men and 5 horses per lot. Some people think that the second chariot mentioned is a continuation of the first chariot which would account for 18 men. In any case, the principal is that we realized the immense size of the Atlantean army and populace since Critias is only telling us about one district of the 10 and he also stated that the lots were of a "Great " size which would compliment their 1.15 mile sides. 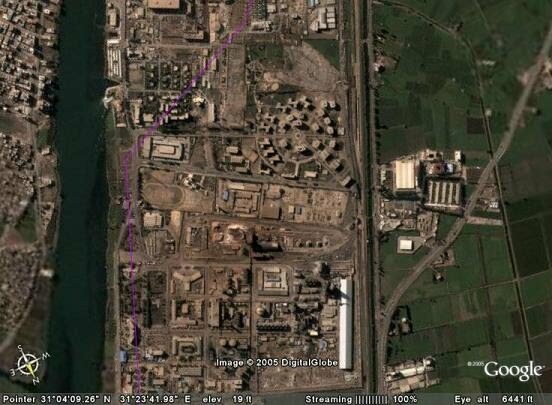 To convert the stade of 605ft to an Egyptian Khet of 52.4m or 172ft, would not fit with Critias' statement for the size of the lots. The khet lot would be 1720 foot sides or slightly larger than a 1/4 mile dragstrip which would not be termed a Great size. The Stadium is 600ft whereas the Stadia is 605ft. When Critias described the size of Poseidon's temple he said it was a stadium in length and half a stadium in width or 600ft x 300ft. For the proponents of altering the numbers in Critias to 1/10th, such as 9000 years should be 900 years or a stadium would then be only 60ft. Poseidon's temple would therefore only be 60ft x 30ft, a rather small size as compared to the existing temples below. For the proponents of the Egyptian Khet being 52.4m or 172ft for the stadia,then Poseidon's temple would be roughly 172ft x 86ft. This would be a more acceptable size. But here's the logic. When Critias uses the term STADIUM, he is therefore referring to a sports athletic arena or playing field, where we also use the word stadium today for our athletic buildings. Therefore, the stadia would also have been based on the size of a stadium. Obviously, none of our athletes would be able to compete in a stadium based on 1/10th. 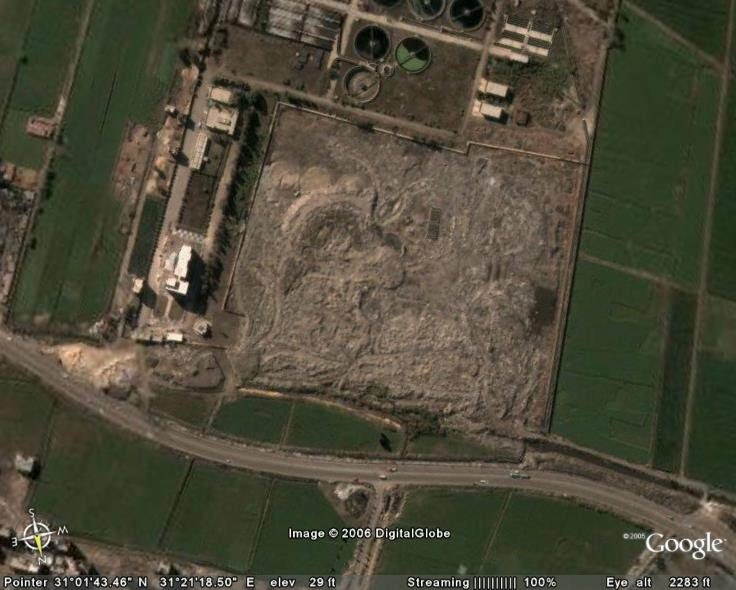 The Egyptian Khet maybe, with the exception of hockey,tennis or basketball of which soccer would be the oldest sport and un-playable in a khet stadium. Also, the Royal City of Atlantis was on a large plain on a very large island, so the city having a diameter of 14.5 miles is rather conservative when compared to the district of Prosopitis as I already pointed out, having a size of 20 miles in diameter in the nile delta alone. Sometimes I amuse myself in thinking that my hometown of the Azores Islands consists of 9 islands and that the island of Atlantis is missing which compares to the 10 districts mentioned in Plato's dialogues!. Atlantean City II- Avila Island, Tansania, Africa. Atlantean City that would also have appeared on a large island surrounded by water when the ancient seashore was further inland. in knowing that the wise Atlanteans baked secret maps of Atlantis on the bottom of their fresh and tasty Bread! Cade Avila or Cape of Africa. lake Tritonis where the Atalantes,Ataranteans and Amazons lived as mentioned by Herodotus, which would also have been fed by a large Canal from the mediterranean sea. 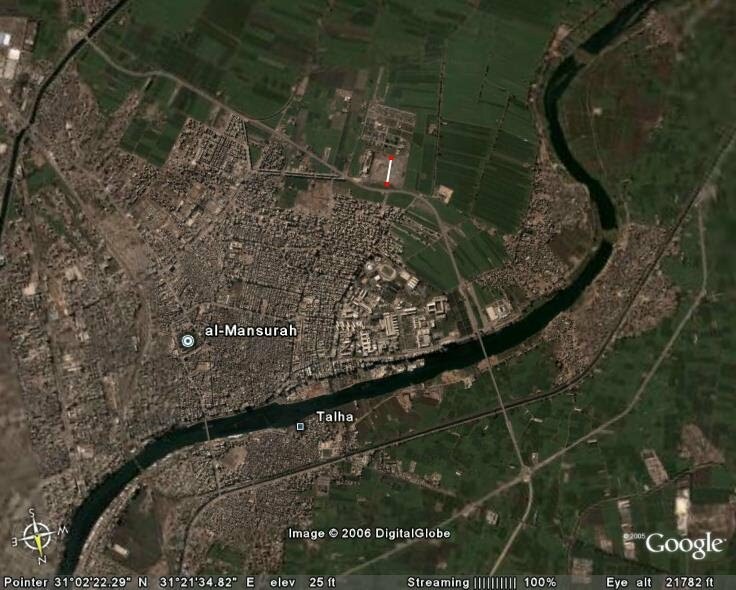 Look upon the Nile with Google Earth as you would facing South entering from the Mediterranean Canal. Until you reach Talha and Al-Mansurah. The Canal is closer to the Left side, viewing South, near Dumyat. Just before Talha or where the Canal curves to the right, stop and look at the CIRCULAR APARTMENTS and THE RACE TRACK NEAR by, converted into a Soccer Field. Get back in your Dragon Claw Ship and proceed South along the Canal to TALHA. Just AFTER TALHA IS A BRIDGE. FOLLOW THIS BRIDGE SOUTH EASTERLY into Al Mansurah..
ZOOM IN ON THE DIRT > about 1030 feet altitude. LOOK VERY CLOSELY AND YOU WILL SEE A MONOLITHIC LION "LOOKING WEST" towards HIS TAIL. SaJaRa -Riven. Jan 16/2006.aD. 8488.aJa. TAHLA.. DELTA EGYPT facing South. 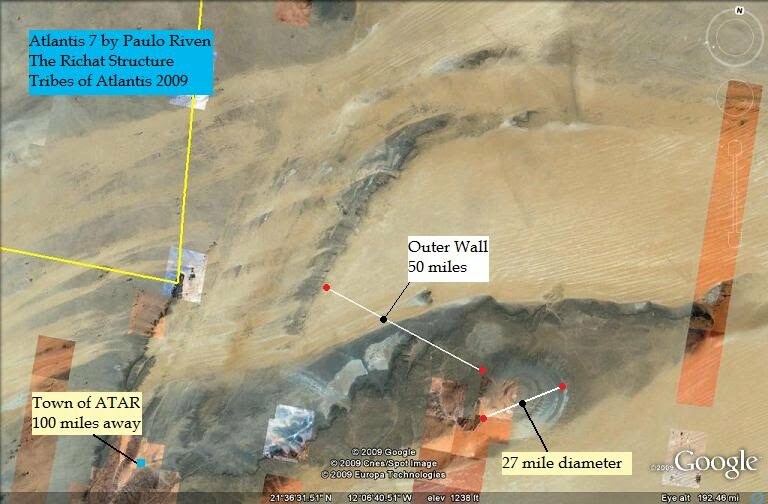 clearly visible as these satellite photos relate. We can also clearly see beyond any doubt, the Lion Seal of Atlantis still visible on the ground and fortunately preserved for us to witness by a miracle of eons. 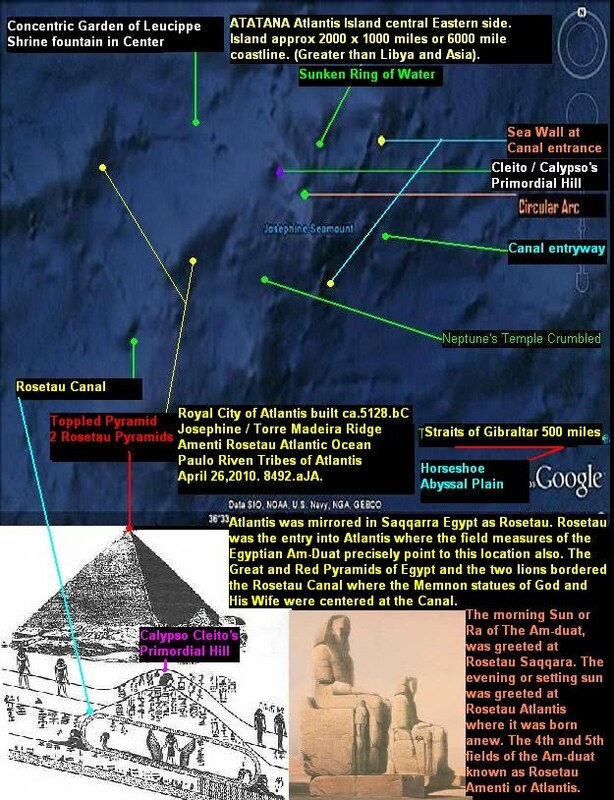 The white line with the red dots is the location of the Great Lion Seal of Atlantis. Richat Structure, Mauretania, NW Africa. "2. metaphor; "hekaton stadioisin aristos" = "best by a hundred miles'"
The term stadious can also mean miles. Basically, we now convert stades to miles which still roughly works out to multiples of 10. Royal City near the center of the plain or around 1000 - 1500 miles. Herodotus told us about the Atlantes and Ataranteans. The Ataranteans have no names. 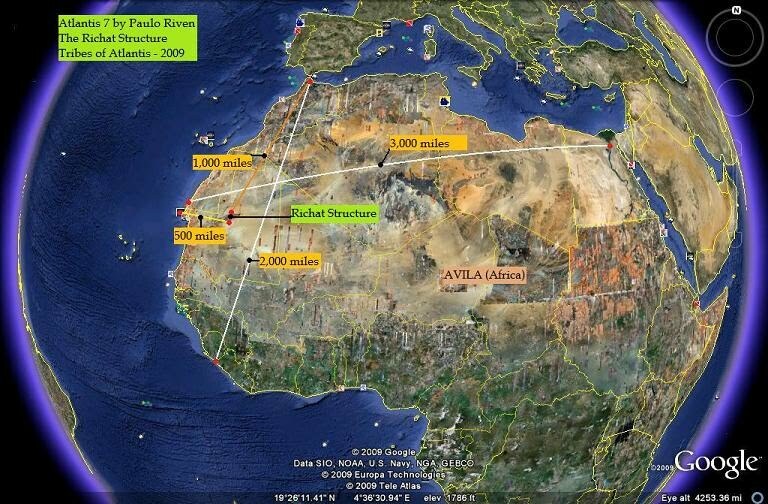 The Am-Tuat told us that Urnes (Wr-r-n-s /Uraranes) was the 2nd hour of Ra's Journey over the lands from Egypt to the Pillars of Hercules on his way to Amenti or Atlantis. Wr-r-n-s is usually followed by a rectangular glyph which we are told is (sh) for a pool, except there are no water signs inside the rectangle. So this must actualy represent district or land area since nomes are often surrounded by a rectangle with castled borders. This gives us TA for Earth or Land, therefore wr = Great, rn = name and Ta = Earth or Land. Thus Uraranta or Uranta means great name of/for earth or land of a great name. In simplicity this is where the esoteric Urantia group would have derived their name from the Egyptian language. Uraranes or Uraranta can also be Auraranes or Auraranta originaly which would over time be shortened to Uranes or Aranes. The wr symbol drawn by a bird (swallow) can also be the letters A or Tj hence Aur,A or Tjarane, Tjarune which is comparable to the mysterious district on the 1st dynasty Menes Aha labels of Tjeru, Tjaru or Urtjeru where we see the bird drawn in some labels but not all. The Libyan name of Urnes or Uraranes for Ra's journey can also identify with the ships on the labels that tell us of a long voyage comparable to the 2000 mile distance of Uraranes from Egypt to the Pillars of Hercules to the Atlantean plains. In these examples we see Atlantes and Atarantes and we also realize that the r can also interchange with a T to give us Araranes as Atatanes, which by coincidence is the name for Atlantis that I came up with in Atatana in realizing that the greek name of Atlantis isn't far off from the Egyptian name. Evermore, the main point of Uraranes and Atarantes is that we see the common root of ARA, which can mean an altar, or heat, or to plough in greek and we see it in words for gold like cARAt or Arachnia for spiders. Basically all symbolic of the golden desert lands of the sahARA. I aver to say that the ARAbs don't even know the etymology of their own name which they conclude it was due to someone writing the name in the 8th century bC. So we realize that Ara and Ata can be compared just like Atlantes and Atarantes. But Herodotus told us that the Atarantes have no name, which is unheard of because everyone has a name of some form. The reality must be that they have no name because no one knew where they came from and they spoke a different language. And since they have no name, then how would Herodotus know to call them Atarantes when he said the Atlantes were their neighbours? Since they were Atarantes, we would figure they come from Ataranta, Ataran or ATAR. I knew I heard of this name of Atar before, but couldn't quite place it and I thought since Uraranes reached to the Adrar regions that it was around there. Turns out it was in Mauretania which is also known as the Maur Adrar region and rings a bell with Libyan pre-dynastic district of Maerea or Mareotis in the Delta nile where the first Egyptian kings arose as early Atlanteans from the Great Golden Lands. As chance may have it, ATAR is only 100 miles next to the mysterious RICHAT structure of concentric circular rings undeciphered by scientists. With a little more indepth study of Richat, we can come to the startling conclusion as I did that there is a very strong comparison to Atlantis, except on a much larger 10:1 scale. Most people don't consider Richat because it is too obvious and conclude that it is simply a geological formation. Well the Greeks did say that Poseidon created the rings which would mean a natural or geological formation. Although today, Richat is some 350 miles from the Atlantic Ocean and around 500 miles in antiquity when the sea level was lower. Whether the shoreline was higher at some point within 50 miles of Richat, I am unsure of, but it would still be in striking distance of a huge tsunami that could have rinsed it clean and left the salt in the rings. 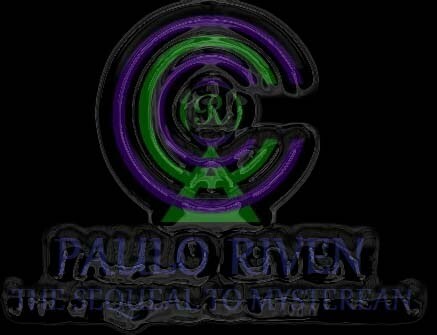 Or some type of hydrogen burning spaceship which landed where the Atlanteans "first saw the light" formed the rings and the Atlanteans decided to build their city there with their advanced knowledge? I guess we can compare these startling realizations and perhaps why the Phoenicians (Phoebus/nyx = Phanes = Phero) cover up Atlantis and distract us with Egypt, Sumer, Babylon and the Annunaki with their bogus media moguls like they did to our Creator JA Mn and our histories. 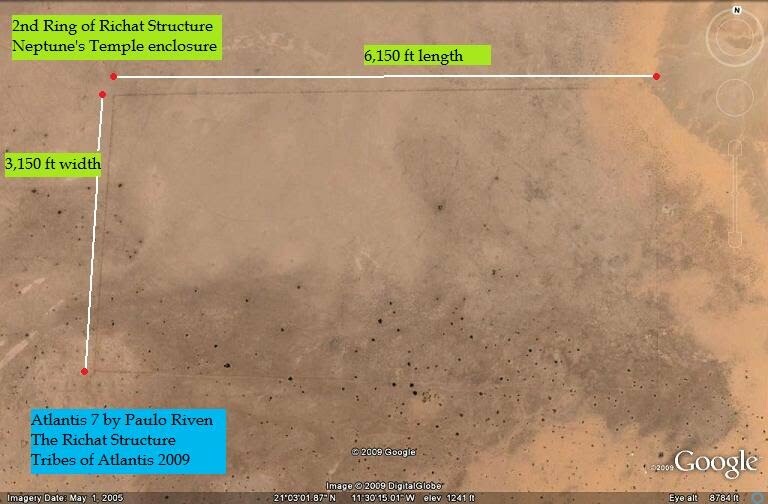 Here's the photos for you and all measurements were taken with Google Earth, so they may be close but not exact. Mt Parnassus, Greece. 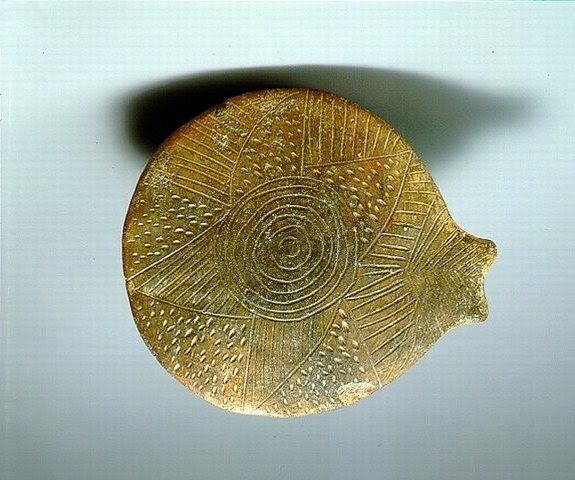 Note concentric Atlantean Olive grove design.